Welcome to our collection of FREE #guitarlessons!! If you ❤️ LOVE GUITAR then you've come to the right place for #guitar tips, chat and ideas. Our #podcast is aimed at every level of guitarist, with some quite advanced ideas. You can listen here on #SoundCloud or via other streaming sites like iTunes or Stitcher. As a podcast you can listen while cooking, cleaning, working, driving, commuting, in the gym or while doing other activities... What a great way to use your time to polish up your guitar knowledge and gain some ideas to look further into and try out when practising! Listen in to Dan Davies' superb guitar lessons and learn (with me, Gary Shilladay) from an excellent player. Stay tuned for more guitar tricks, tips and advice. 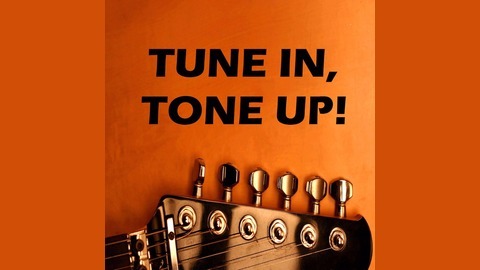 Subscribe, follow and comment on our website https://tunein-toneup.com (see for show notes, further research, videos and tabs). SHARE our playlists and help to spread some free guitar tips. We really appreciate all your help, support and involvement!! 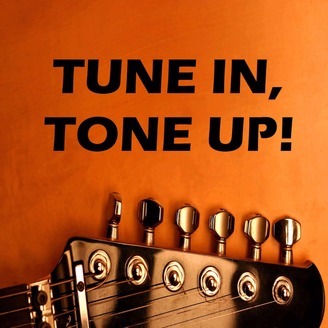 Our playlists: https://soundcloud.com/tunein-toneup/sets/tune-in-tone-up Write us a review, rate and/or subscribe on iTunes: https://itunes.apple.com/gb/podcast/tune-in-tone-up!-free-guitar/id1187509288?mt=2 Support us at PATREON: https://www.patreon.com/tuneintoneup.